At ALG every day is made of small setbacks and huge happiness. There is a lot of happiness: every time a child transitions to the next grade, every time a girl does not abandon school because she became pregnant too early, every time a mum leaves her little child safe in a pre-school to go to work and earn a meagre salary for her family… every time this happens it is a happy time for ALG. Every time one of our donorsl gives us a word of encouragement and show us how happy they are for supporting a vulnerable child… it is a happy day for ALG. 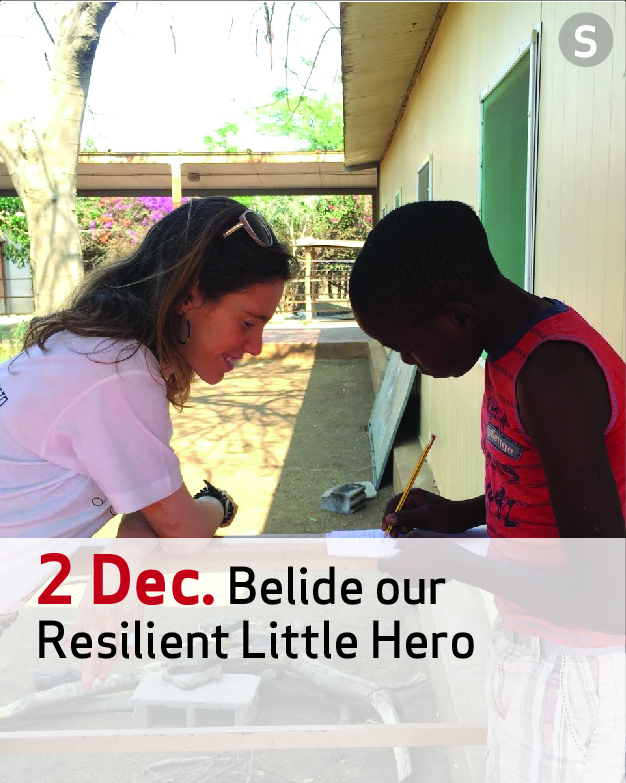 Belide Jorge Ubisse was one among the almost 2´500 children ALG supports every year. It is easy to get lost in numbers and names of some many little faces that show sadness and happiness at the same time, that are hungry but positive, who have aching bodies from years of deprivation, but also bright eyes full of hope just like every child growing up. Resistant. Resilient. Little heroes. But Belide wasn’t just another face. He stayed in my memory as a child who, despite being an orphan, was also, along with his little sister Maria, HIV infected. In May our dear Belide passed away. During the previous two months he didn’t show up at the Centre, was feeling poorly and ended up being hospitalized in Carmelo Hospital. The news that came from the hospital, so far way, touched us very closely. We asked them to be more specific. We wanted to know if it was a tuberculosis just like happens with so many other children at the HIV Day Centre, or another unknown illness. But it does not matter! What matters is that our future scholarship holder, a bright mind, and Maria’s loving brother is no longer with us. What matters is that we can no longer look at Belide. What matters is the effort our donors make in helping us build our projects, the hours of laborious work ALG Local Partners spend on the ground fighting against a relentless reality. What matters is the years ALG has been trying to save vulnerable children. And we cannot give up, because HIV is not going to prevail. The lack of education and of opportunity is not going to prevail. Poverty is not going to prevail. 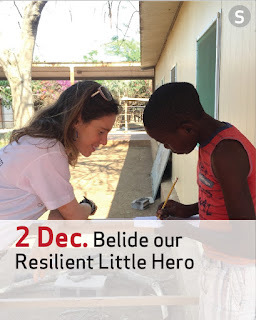 Because one day at a time, other children just like Belide will have the chance to grow up strong and healthy and one day they will be university scholarship holders with the great help of ALG friends and sponsors. Even on days like the one ALG experienced in May, setbacks no longer seem so small, nor joy that constant. Day 25 – ALG wishes you a Merry Xmas in 2018! Day 23 – Lively Poultry! Day 20 – Hello Mr. Engineer! Day 19 – Best to bend while it is a twig! Day 12 - Welcome back Edson! Day 5 – Charity in Style for everyone! Day 3 – Need an Electrician? Talk to ALG!